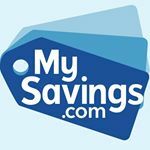 MySavings is one of the original free sample and saving sites on the internet. Founded in 2005, MySavings quickly became the largest directory of free samples, frugal tips, coupons, deals and giveaways. Our four deal experts work around the clock to bring you the best freebies and deals, a true one stop shop for all your savings needs.